The​ Senate​ Heath,​ Education,​ Labor​ and​ Pensions​ Committee​ has​ set​ mid-September​ as​ a​ goal​ to​ get​ an​ individual​ market​ stabilization​ passed.​ On​ Wednesday,​ the​ first​ of​ four​ hearings​ that​ will​ inform​ that​ bill​ will​ be​ convened,​ with​ three​ Republican​ governors​ and​ two​ Democratic​ governors​ testifying​ on​ the​ panel. Republican Gov. 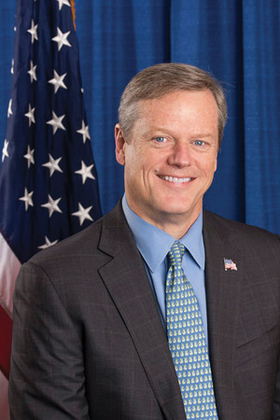 Charlie Baker leads the bright-blue state of Massachusetts, without a single Republican in its congressional delegation. The two Democratic governors represent states—Montana and Colorado—that each have one Democratic and one Republican senator. Committee Chairman Lamar Alexander has invited his home-state governor, Bill Haslam of Tennessee, and Utah Gov. Gary Herbert, as well. On Thursday, the committee will hear from insurance commissioners from Tennessee and from Ranking Member Patty Murray's home state of Washington, as well as Pennsylvania, Oklahoma and Alaska. The only insurer selling on Alaska's exchange has requested a 21.6% decrease in premiums next year because Alaska implemented its own reinsurance through a 1332 waiver. Reinsurance phased out nationally this year. Alaska is spending $11 million for the reinsurance fund—raised through a tax on insurers—and the federal government will contribute $48 million in 2018. The resulting lower premiums are expected to reduce federal spending on subsidies by $48 million. Alexander has said that the stabilization bill will be narrow, but should include appropriating money to pay insurers for cost-sharing reductions and should change the 1332 waiver process. Democrats have argued that funds for reinsurance should be part of an effort to make the individual market more affordable for buyers who make too much for subsidies, but Alexander has not specifically endorsed that for this round. He has said the committee should also address the long-term health of the market. Both Democratic and Republican Senate aides have said that Democrats will not agree to changes to the 1332 waivers that remove the "guardrails" that are part of the Affordable Care Act. A Democratic aide said there are places to improve flexibility "without taking a chunk out of coverage or current law." The law says that waivers may only be approved by HHS if they do not increase the deficit, make healthcare more expensive, less comprehensive or lead to fewer people getting coverage. During the repeal-and-replace debate, Sen. Ted Cruz (R-Texas) proposed that all the guardrails be removed except the one about the deficit. There were 43 Republicans who voted for an ACA replacement that included the Cruz amendment, including Alexander. Many states have allowed two rate submissions, one assuming CSRs continue, and one assuming that they don't. But even if the committee passes a bill by Sept. 15, can the House act before Sept. 25, when insurers must submit their final rates? The House of Representatives is not meeting the week of Sept. 18. A senior House Republican aide said there's general support for funding CSRs in the Republican caucus. Some have speculated that the president might not sign a bill funding CSRs, since he has repeatedly threatened to stop funding them to let Obamacare collapse. A senior Senate aide, when asked about a veto, quoted former Defense Secretary Donald Rumsfeld: "There's known unknowns and unknown unknowns." While the stabilization bill will take up most of health policy oxygen in September, the Senate Finance Committee is also planning a hearing this week on reauthorization of the Children's Health Insurance Program. The current program's authorization expires at the end of September.